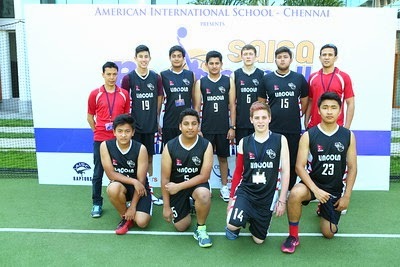 The Lincoln Boys Basketball Team had a great season coached by Rishi Robertson and Zaheer Khan. During the local tournament, the boys came to finals against KISC and finished second, with a great overall performance. In SAISA, the boys finished fifth out of eight teams, an improvement from last years performance. The boys finished the SAISA tournament strong by beating OSC in the 5th place playoff, and beating TAISM in the 5th and 6th game, a team they had previously lost to in the beginning of the tournament. Next years team, will definitely have some new faces, as the starting five consisted of four seniors. Everyone was able to play to their full potential as they were able to utilise what we learned throughout the season during the tournament.